Bleaching Trays in a single visit! 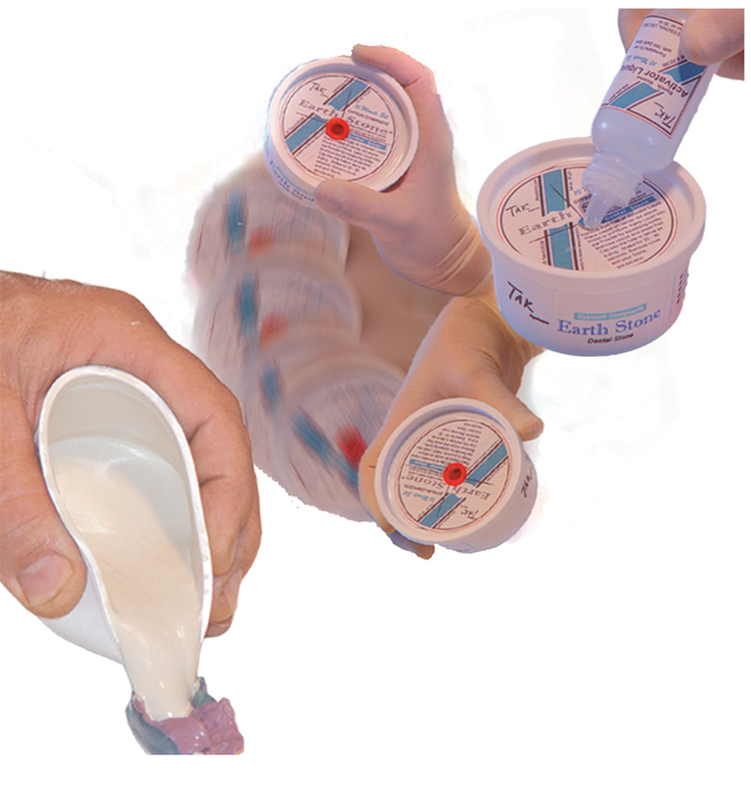 Here is a gypsum composite that rapidly produces stone models for bleaching trays, mouth guards, night guards, temporary bridges, custom trays, and other tasks that require multi-office visits, now possible in a single visit. 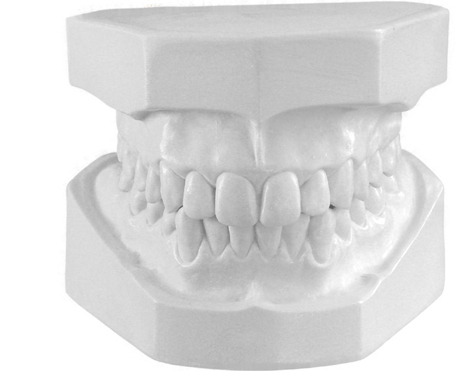 An instant stone model to save valuable chairtime and improve productivity for the dentist and the entire staff. A Perfect Stone Model Everytime! Earth Stone models have a unique surface durability. Set models have the look and feel of epoxy. The chalky surface of traditional stone is gone and a new level of surface abrasion resistance puts Earth Stone into a class of its own. 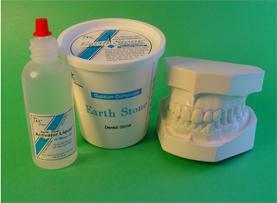 Consider... every dental impression requires a stone model. It's the whole purpose of the impression. Earth Stone is not a new additional item, it's simply a faster, cleaner, easier way of doing what must be done every day. As an added feature, it produces a better model. Ready in 10 minutes, harder, smoother and dimensionally more accurate than traditional yellow stone. Cost comparison... realistically, the cost of dental stone for the average dental office is so small it's almost free and Earth Stone hardly changes that. But compare the benefits of Earth Stone from another perspective, chairtime, suddenly the value of single visits become a reality.